In a surprising move earlier this month, Kati Roll Company started offering chopped salad boasting 12 ingredients in addition to kati rolls. The salad was a bit of a quandary to me. On the one hand, I actually used to joke that sure, I’d totally eat salad more regularly if they made them at Kati Roll! AND NOW THEY DO. 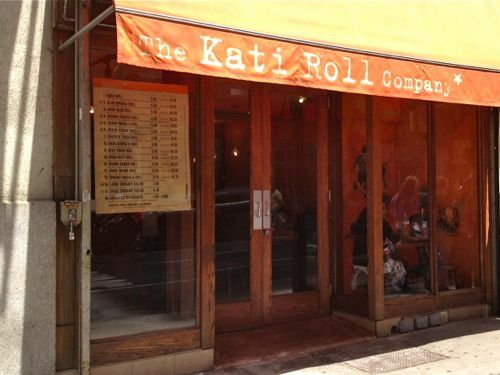 On the other hand, if I’m going to Kati Roll, I can’t imagine ordering anything else but kati rolls. So, now what? 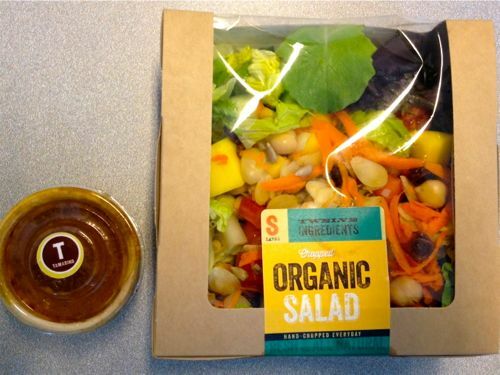 I was a little disheartened to find that the salads were pre-packaged. My wariness of food from the refrigerator case lead me to get the smaller size, which at the time seemed pricey at $5.49. Turns out, my skepticism was totally unfounded. The salad was fresh, diverse and very tasty, and the tamarind dressing, while a bit oily, was a great recommendation by the staff. No one ingredient dominated the party, not even the lettuce. Well done. Of course, I couldn’t leave without also ordering a Kati Roll, because obviously. I like Kati Roll Company’s namesake food too much to order their new salad as my entire meal, but I’ll give it to ‘em: the salad makes for a great addition to a kati roll for lunch. 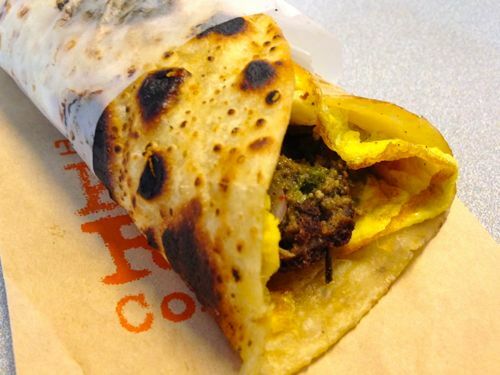 Posted by Rachel Goldner at 9:00 am, May 30th, 2013 under Kati Roll. That sounds like a great option on a hot summer day. Do they have lower calorie/fat dressing? Don’t you get tired of winning the Internet? Shhhhh it’s all he has.